There are many ways of moulding plastic. However for small to medium production runs i.e. 10 upto 1000 / mth of large bespoke components, 'Rotational Moulding' is the preferred manufacturing method. LSNW is now offering intricate tooling (previously cast) machined from solid Al. Alloy billet. 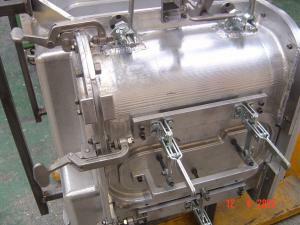 The avantages are: No porosity (inherent with cast aluminium tooling). Tooling joints and surfaces can be engineered and approved quickly using Catia software. The manufacturing lead-times are massively reduced. Incredibly accurate tolerances and joints can be maintained.